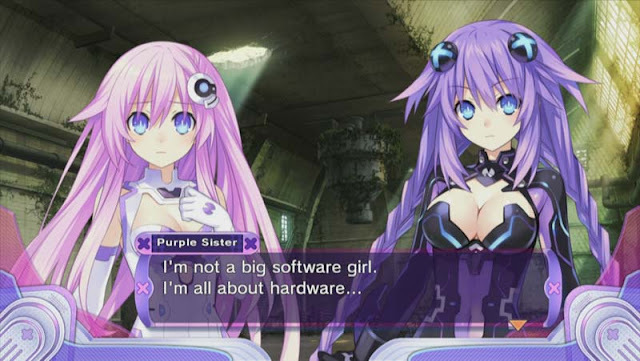 NIS America has provided me with their latest role playing parody, Hyperdimension Neptunia Victory. 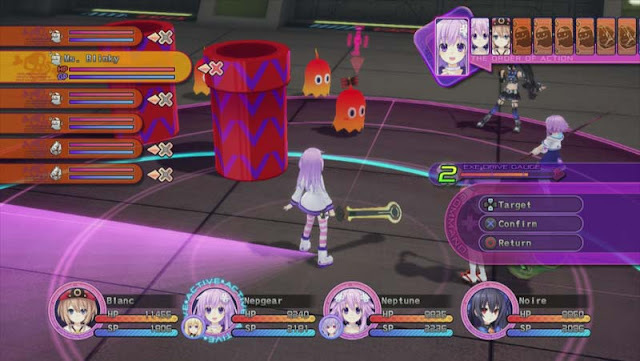 This time around Neptune winds up in another dimension, Gamindustri of the eighties, where the CPUs must take on the Seven Sages plan for a world sans CPUs. The series has been known as satirical of the gaming industry, both new and old. It is hard to go wrong when the protagonists resemble gaming consoles...and sometimes the personalities behind them are spot on. It is time to assemble the girls and rack up some huge attack combos, while trying not feeling creepy. 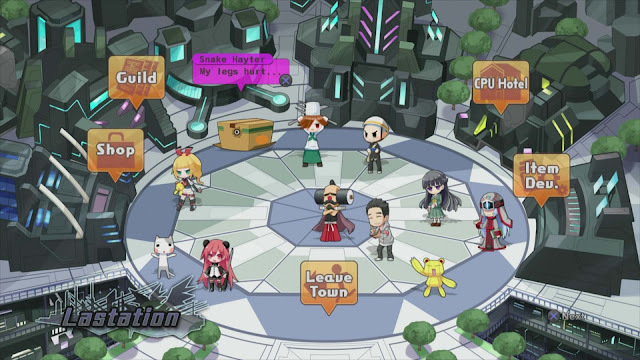 Similar to the previous entries, Victory still contains that action filled turn based battle system using a number of character combinations and HDD form abilities to lay down huge combinations. The characters are still young looking and immature acting, but have enough personality to keep me coming back for more. There is also a nice amount of character customization throughout gameplay that had me spending almost equal parts in menus as I was exploring dungeons hunting down the Seven Sages. This is a parody of of gaming's history so expect to to lose yourself in a nonsensical storyline, but through lengthy conversations between characters, using “X” to skip long dialogue became more and more utilized. At the end of the day, I enjoyed Victory about as much as I liked the previous entries. Hyperdimension Neptunia Victory has a bit of an edge over the previous entries, for going back to the eighties, the decade when gaming entered my blood. The CPUs are likeable, the dialogue is hilarious, and the gameplay is fun. Sure the story while good, was overshadowed by long cut scenes before getting back into the action. After the first couple hours I eventually got to a point where my impatience kicked in and I was mashing X to blow through the text to get back to completing missions. 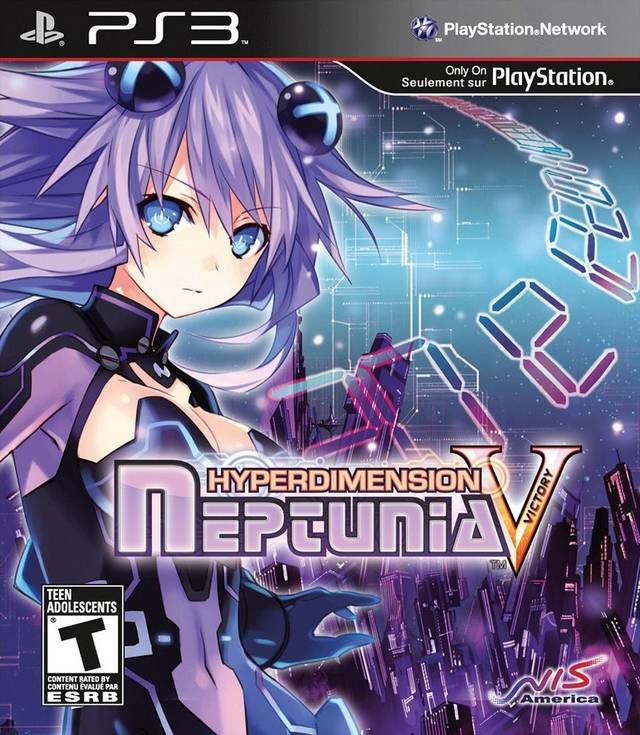 I need me some Hyperdimension Neptunia on the go, so how bout one for the Vita NIS America?